The application of Lean principles in healthcare organizations is a growing trend in the United States. Although initially developed as a manufacturing process improvement methodology and management system, Lean has been successful in helping healthcare providers reduce waste, improve patient safety and enhance the overall experience for patients, employees, and providers. The growing community of Lean healthcare practitioners and experts shares a wealth of experience and advice in a number of excellent blogs. Here are a few that we think are definitely worth following. The Virginia Mason Institute (VMI) was established by Seattle's Virginia Mason Medical Center as a non-profit corporation to share their experience and knowledge in applying Lean principles to healthcare. You can also follow them on Twitter at @VM_Institute. 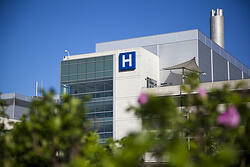 LeanBlog.org is all about creating a better, more cost effective, and safer healthcare system. Its author, Mark Graban, is a thought leader in Lean healthcare, the author of Lean Hospitals, and the co-author of Healthcare Kaizen and The Executive Guide to Healthcare Kaizen. He also happens to be the VP of Customer Success here at Kainexus. He Tweets at @MarkGraban. Published by Healthcare Performance Partners, over 40 Lean healthcare professionals contribute to weekly updates and discussions on this blog. They also have a very active LinkedIn group. This blog is authored by John B. Chessare, M.D., President and Chief Executive Officer of the Greater Baltimore Medical Center Healthcare system. It contains his insights from his current role as well his experience as a consultant with regional and national healthcare organizations focusing on operational changes to improve patient flow and patient satisfaction while reducing costs. Rona Consulting Group is a management consultancy serving integrated healthcare systems, hospitals and clinics, medical suppliers and government organizations. Find them on Twitter at @lean_healthcare. These are just a few of the many resources available to help inspire and inform your approach to Lean healthcare. Have more to add? Just let us know in the comments.